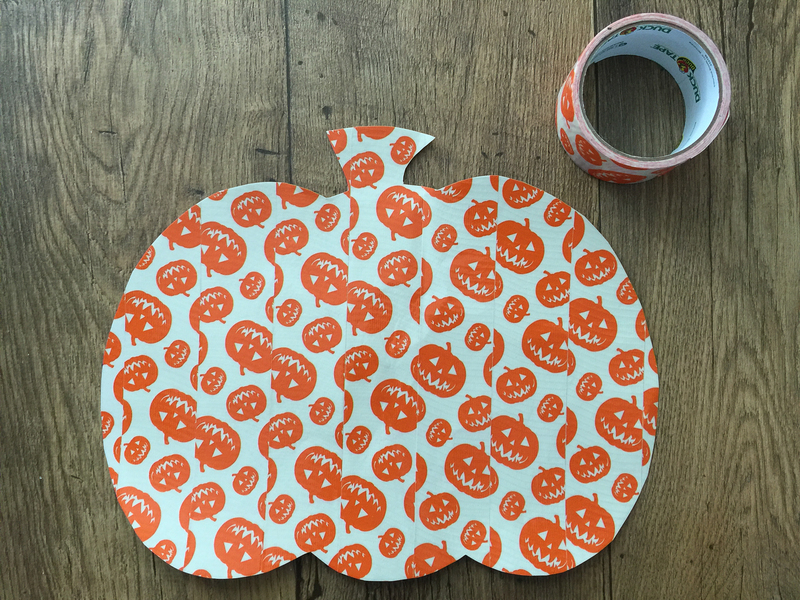 A few week ago I found a colourful new Duck Tape to add to our collection in Hobbycraft – Pumpkin Glow in the Dark Duck Tape! 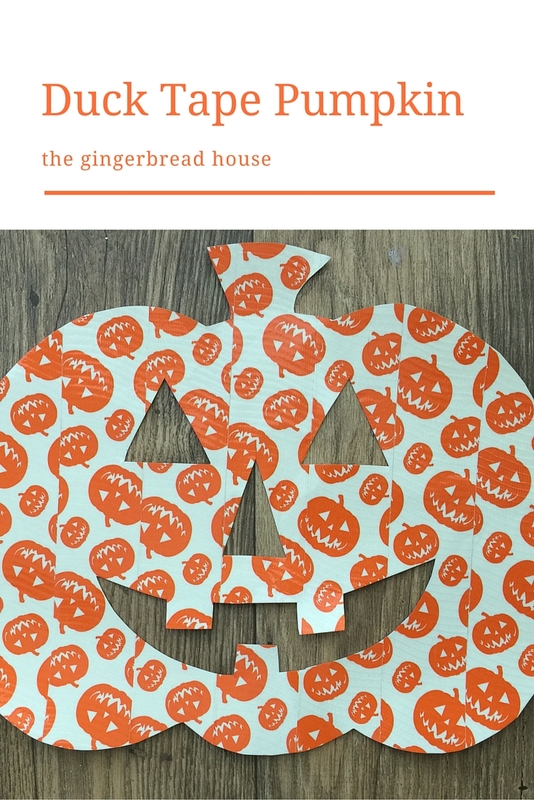 I love Autumnal colours and my children are desperate to start decorating for Halloween so I thought we would make a simple Duck Tape Halloween decoration using our special glow in the Duck Tape. 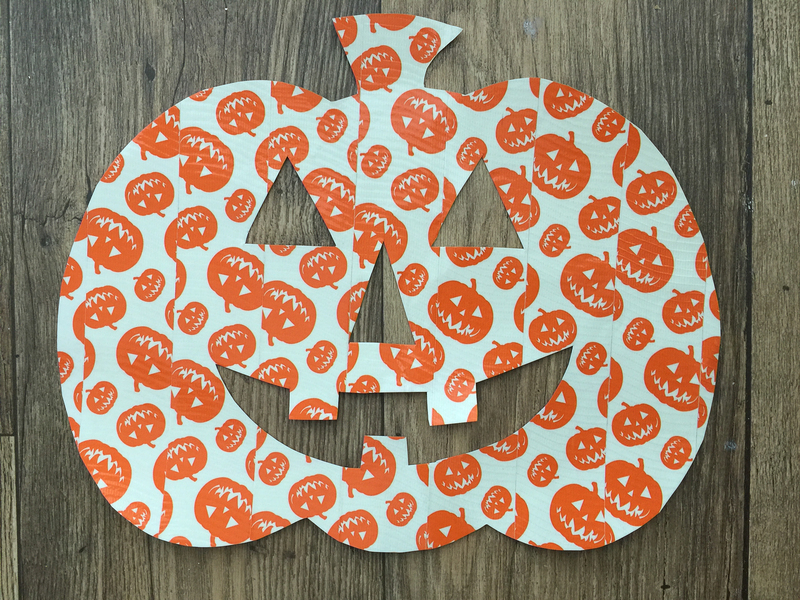 Cover one side of an A3 sheet of paper in strips of the Pumpkin Duck Tape, line each strip carefully to make sure there are no gaps. 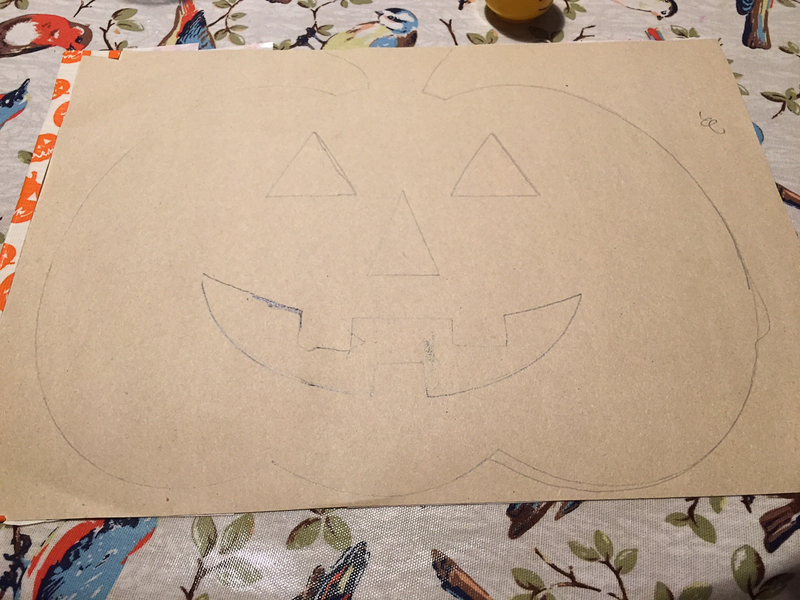 Turn the paper over and draw a pumpkin shape with eyes and a mouth. My 5 year old cut out the pumpkin. I used a Swann Morton scalpel to cut out the eyes, nose and mouth. I love the finished pumpkin and the patterned Duck Tape looks great on something this size. We’re going to hang him on our front door but I think I might make some smaller pumpkins and turn them into a garland for the fireplace too. Have you started thinking about decorating for Halloween yet? This is so much fun – I love it! What a fab halloween mask and I love the duck tape. How brilliant. Thanks for sharing with the #pinitparty.